Did you know? Knowing our motors thrust without understanding it's pitch speed is almost meaningless. It tells you something about the quality of the information your reading when you see thrust data on a website without pitch speed. It's possible to have enough thrust to climb vertical but not enough pitch speed to fly straight and level. Pitch speed is simple to calculate, RPM X Pitch Inches X .0009469. Pitch speeds below 2x model stall speed will make it feel under powered, try for 2 to 3x stall speed for most model types. In this category you'll find props intended for electric motor use. 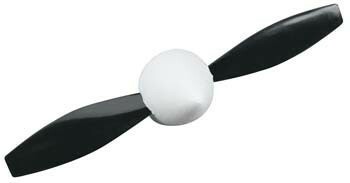 These props are lighter, thinner and don't have hubs designed for the impulses of a fuel engine. 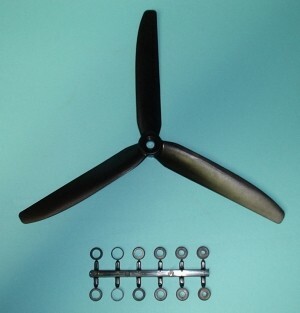 These props/rotors/impellers are for EDF Ducted Fan applications. Select size below. 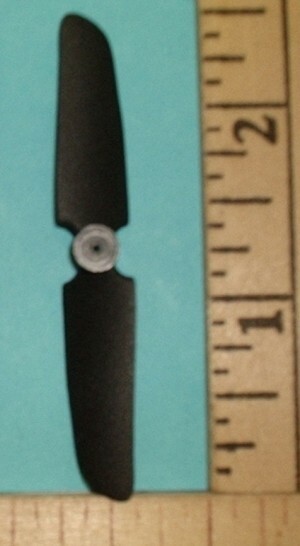 GWS Black, HD 3 Blade prop. Conventional tractor rotation. 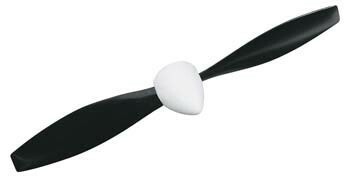 GWS Black, HD 3 Blade prop. Conventional tractor rotation. Includes an assortment spru of centering rings. 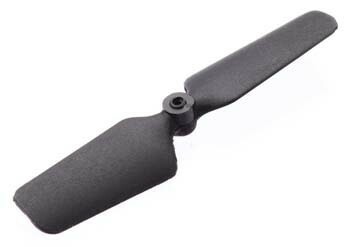 GWS Black, HD 3 Blade prop. 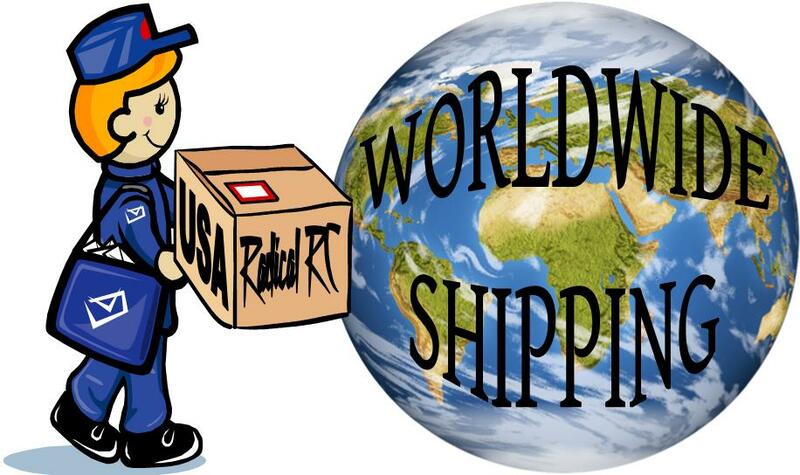 counter rotating or reversed pitch for use as a pusher or as a counter-rotating tractor on a multi motor aircraft. 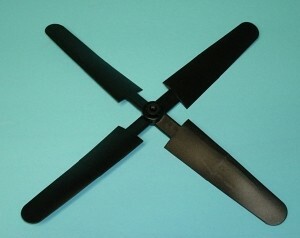 GWS Black, HD 3 Blade prop. counter rotating or reversed pitch for use as a pusher or as a counter-rotating tractor on a multi motor aircraft. Includes an assortment spru of center rings. 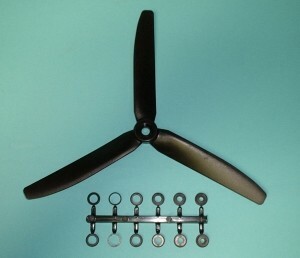 GWS EP 10 x 8, 4 Blade Propeller. 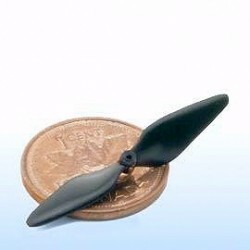 Available in Hi Vis Orange and 10 x 8 size only..
Green RC/Maxford 9 x 6 injection molded plastic slow fly propeller. 5 x 5 inch with 5mm through hole (It's actually 4.81mm so the press on spinner fits it tightly). Maxx Products prop. 5 x 5 inch with 5mm through hole (It's actually 4.81mm so the press on spinner fits it tightly). Presses directly on S-400 and any other 2.3mm shafts as found on some 20mm inrunners. Press on spinner not shown but included with this part number. 8" x 4.5" Counter rotating prop set from MPI. These props are "Slow Fly" weight. Bore of hub is 5mm. Comes with 4mm and 3mm bushing for easy fitting to other common park flyer shaft sizes. 10" x 4.5" Counter rotating prop set from MPI. These props are "Slow Fly" weight. Bore of hub is 3mm. Must be drilled to fit other shaft sizes. 12" x 4.5" Counter rotating prop set from MPI. These props are "Slow Fly" weight. Bore of hub is 5mm. Comes with 4mm and 3mm bushing for easy fitting to other common park flyer shaft sizes. 13 x 4.5" Counter rotating prop set from MPI. These props are "Slow Fly" weight. Bore of hub is 5mm. Comes with 4mm and 3mm bushing for easy fitting to other common park flyer shaft sizes. Black. 2 Blade prop. Counter rotation (clockwise). Diameter is 1.5", Pitch unknown but looks like a high percentage of diameter. Probably 1 to 1.5" pitch. Bore looks like 1mm, plenty of hub to take out to 1.5mm if you like. Blades are strongly under-cambered. 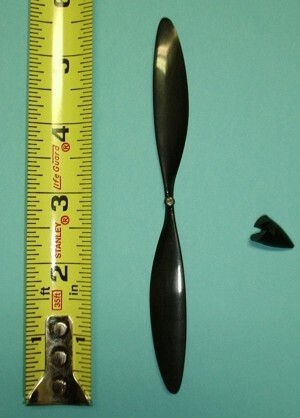 Used as a tail rotor on a micro helicopter. Could be perfect for your micro aircraft project. Parkzone prop, replacement for your Vapor. Useful for your other experiments. 1mm shaft hole. Spinner included. Diameter 140mm X 45mm Pitch. 5.51"x1.77". Parkzone prop, replacement for your Citrabria. Useful for your other experiments. 1mm shaft hole. Spinner included. Diameter 100mm X 60mm Pitch. 4.94"x2.36". Plantraco electric prop. 100mm x 80mm. 3.94" x 3.15" dia. x pitch. Use on 50XC, 12mm brushless, and any other motor with1.5mm shaft motors. Black molded plastic. This is the only size we have in this product. A quality propeller. 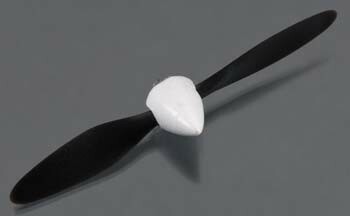 45X18 (mm) (1.77"x.71") prop - optimized for static thrust - Used elsewhere on a Micro Blimp. 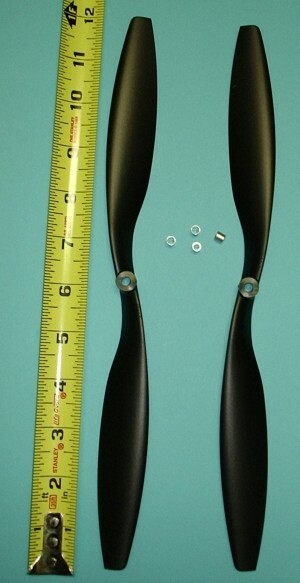 57 x 20 (mm) (2.2"x0.78") prop. Fits 1mm Shafts. Plastic Prop 32mm diameter, 0.69mm bore to fit 4mm motor (shaft is 0.7mm press fit). 0.055g. Based on Martin Newell's good design this prop is matched well to our 4mm X 11mm 13 Ohm motor. Plantraco's prop for the Micro Blimp. Optimized for 16ohm, 6mm motor for static thrust forwards AND reverse! Radical RC 5 x4. 5 inch with 4mm through hole electric prop. Black only. Press onto 1mm shafts or re-bore for your own application. Plenty of hub to work with here. Popular 65mm prop for brushless tail motor conversions of Blade MCPX heli. Press onto 1mm shafts or rebore for your own application. Plenty of hub to work with here. 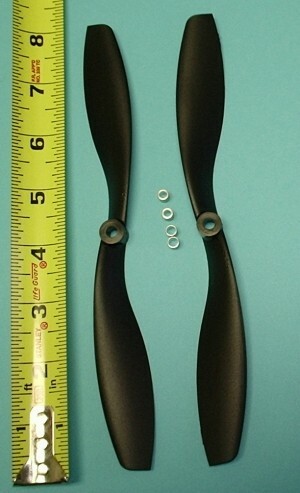 Popular 65mm prop for brushless tail motor conversions of Blade MCPX heli.